3rd edition 1995 text not changed, with 32 additional pages. 765 pages + 32 P. supplement, with 712 figures and photos, hardcover. Comment: There are only few books printed in Germany about this topic. 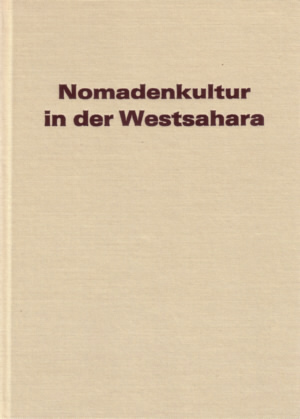 The political progress resulted in a nearly total destruction of this nomadic culture in the Western Sahara. The material culture was documented as complete as possible on the base of knowledge of the country and on the base of the collection in the great museums of middle Europe. This book is the author's expanded dissertation. 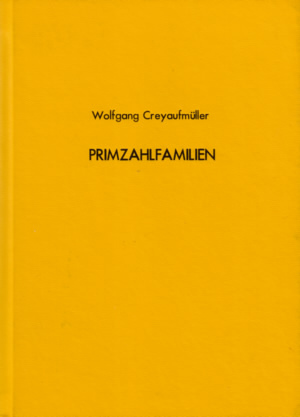 The book was first published in Burgfried-Verlag in Hallein in 1983. This publisher doesn't exist any more. The book has a 32 p. supplement in 1995 (new ISBN in the 3rd ed.) with corrections and new information. The last edition of the supplements dates from spring 2006. The link leeds you to an abstract in german. Comment: The Agadescross - this special Twareg jewellery is examined in relation to its form, production, history and design. The Twareg (Tuareg, touaregs) live in the Central Sahara and in the southern part of the Sahel. They are scattered over several nations (Libya, Algeria, Mali, Niger). Their household equipment, jewellery and ornamental design are typical and different from that of all other people in this region. The new edition is five times greater than the old one (20 p., 3 fig., not available since 1997 - an English edition in the magazine 'ornament' is out off print, too). 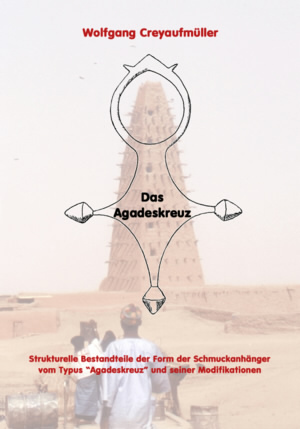 The 4th edition is enlarged from 106 up to 132 pages. 317 pages, several figs., hardcover. Comment: A book about a special mathematical question with programs and complete source code. On a normal PC it's possible to factorize integers with more than 100 digits in a reasonable time. The book is written for pupils on secondary level. There are new mathematical findings and new findings about the bible, too. The 1st edition was published in 1995 (176 p.), the 2nd enlarged edition 1997 (262 p.). You can get the programs direct from the author or you can download them directly. Have a look on the mathematical page, please.